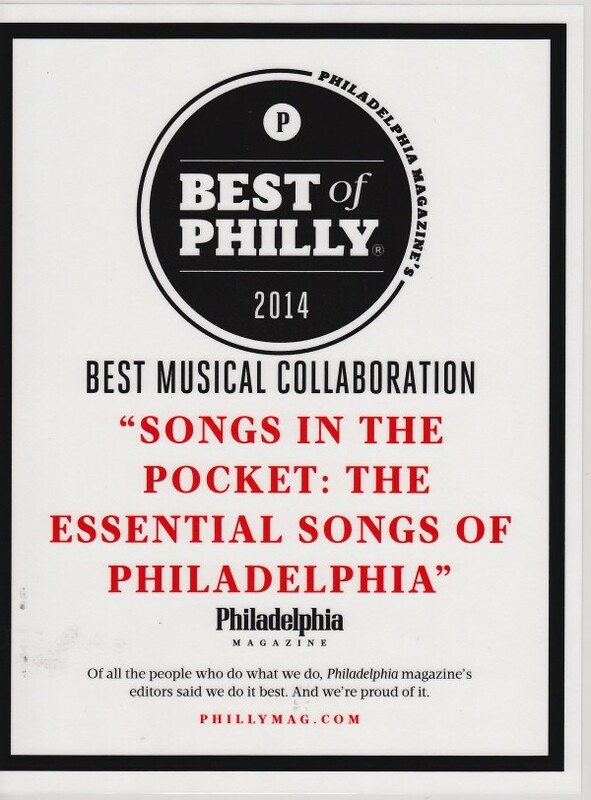 Uosikkinen’s brainchild was to assemble a group of Philadelphia music legends, lock them in a studio and have them collaborate on re-imagining a hit song from the city’s rich musical past. 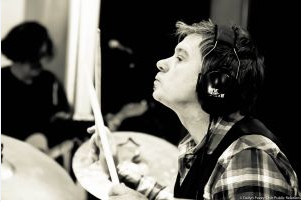 EAch musician is given the musical freedom to put their own distinctive spin on each recording. Every few months, they release a new offering, and follow that up with a live show or two. Over the past few years, I’ve become a big fan and have enjoyed the musical ear candy, including their cuts at “Open My Eyes” (Todd Rundgren/Nazz), “Beat Up Guitar” (Hooters), “Change Reaction” (Robert Hazard) and “Disco Inferno” (The Trammps). Hi, everybody! David Uosikkinen here. I’m probably best known for my work with the Hooters, the band I’ve been playing music with for thirty-five years. It’s been a great ride and I’m grateful to have been on it. 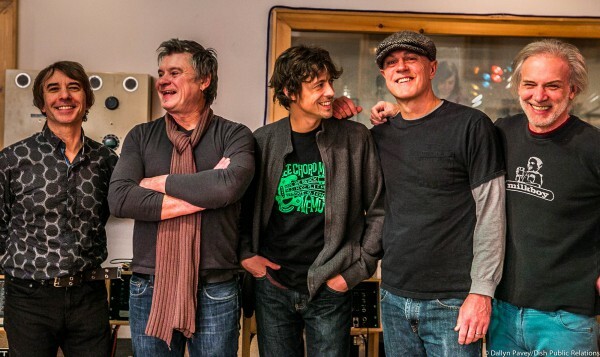 David Uosikkinen’s In The Pocket are set to debut their take on The Dead Milkmen’s Philly classic, “Punk Rock Girl” at their gig at the Ardmore Music Hall on March 28th! 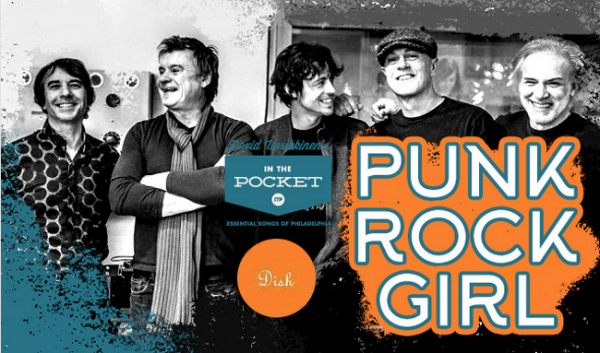 David Uosikkinen of the Hooters and his band, In The Pocket return to the Ardmore Music Hall on Saturday, March 28th to celebrate the release of their new song, Punk Rock Girl. 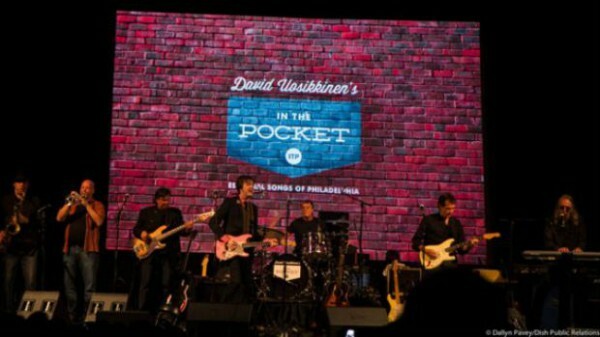 In the Pocket, a group made up of some of the area’s best-known rockers and singer/songwriters, celebrates its latest release , a single paying homage to Hall and Oates, with a concert Saturday night at the Ardmore Music Hall. 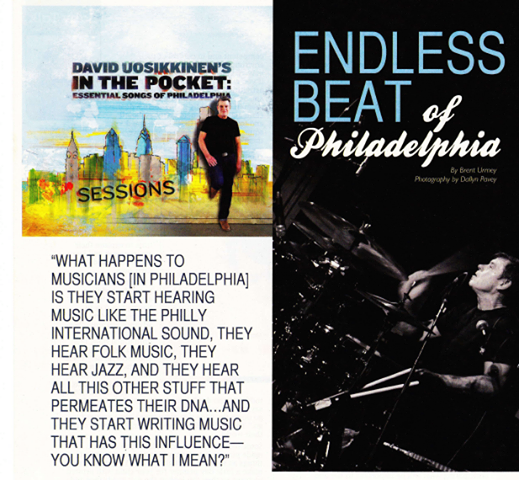 David Uosikkinen is a Philadelphian first and foremost. 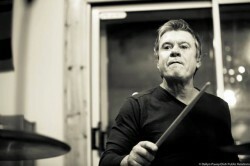 You can hear it in his voice, feel it in his music, and see it in his down-to-earth, no holds barred personality. When Philadelphia is discussed – especially Philadelphia sports – the word “passion” is often thrown around quite freely. 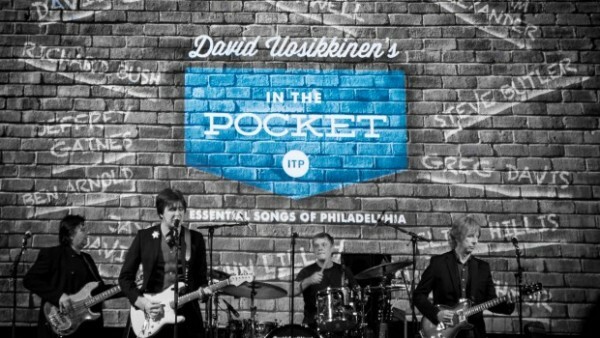 So it is not surprising to hear the passion in David Uosikkinen’s voice when The Hooters drummer talks about his “In The Pocket” project, which spotlights essential Philly tracks, played by Philly musicians. Known as the drummer for one of Philadelphia’s most famous rock band exports, The Hooters; David Uosikkinen has assembled an all-star cast of Philadelphia-based musicians to form his project, In The Pocket. 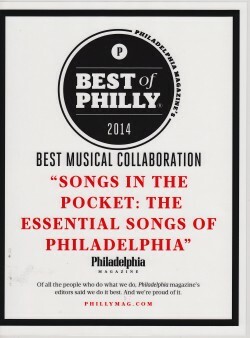 On Sessions: Essential Songs of Philadelphia, Uosikkinen and In The Pocket celebrate Philadelphia’s rich musical heritage by updating ten songs either created by the city’s musicians or recorded in Philadelphia; and a portion of proceeds from the album’s sale benefits Philadelphia’s Settlement Music School. 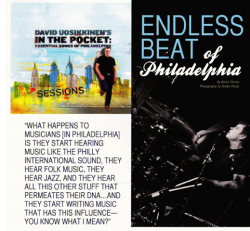 When Hooters drummer David Uosikkinen decided in the fall of 2010 to begin revisiting the “essential songs of Philadelphia” with the help of a rotating cast of area musicians, he never envisioned releasing a studio CD. “On a marketing level, who cares about CDs anymore?” the Bristol Township native told me in a 2012 interview. A lot of people, apparently.